Thank you for lifting up the praises and prayer requests listed below by program. God is doing a mighty work in Haiti through these programs that holistically work to strengthen Haitian families and prevent children from becoming orphans. We are deeply grateful for your prayers! Praise God that Guetchina birthed a living baby after two losses and a very high-risk pregnancy. Please pray that her postpartum complications are minimal and her blood pressure stabilizes quickly. Praise God that 13yo Sarah, whose story includes violence and abuse, delivered a healthy girl named Sophia last month and is thriving as a mom. Pray that God continues to strengthen her as she grows into motherhood and plans to return to school in the fall. Pray for new MC staff members named Stephanie and Guerline. Pray for wisdom for the midwives and nurses as they provide medical care and support, and for safe deliveries of living, healthy babies. Pray for Dieuna, a homeless 20 year old who is HIV+ and previously had a baby who died at the age of six months. She is due to deliver her baby in April. Pray that Heartline staff can transition Dieuna to a house and cover her complicated situation in prayer. Praise God for a grant we received to make significant improvements to the WEC building and purchase much needed equipment for out vocational training classes! This grant will fund the installation of solar panels to reduce diesel use and provide a sustainable electricity solution for powering the school. It will also fund the purchase of supplies and equipment for several new classes, including the commercial baking, computer skills, and cosmetology classes. We are very grateful! Pray for a WEC student who was recently injured in a car accident. Pray for more women to enroll for spring and summer sessions. Praise God for weekly outreach at a boy’s prison, women’s prison, orphanage for children with disabilities, and area hospitals. 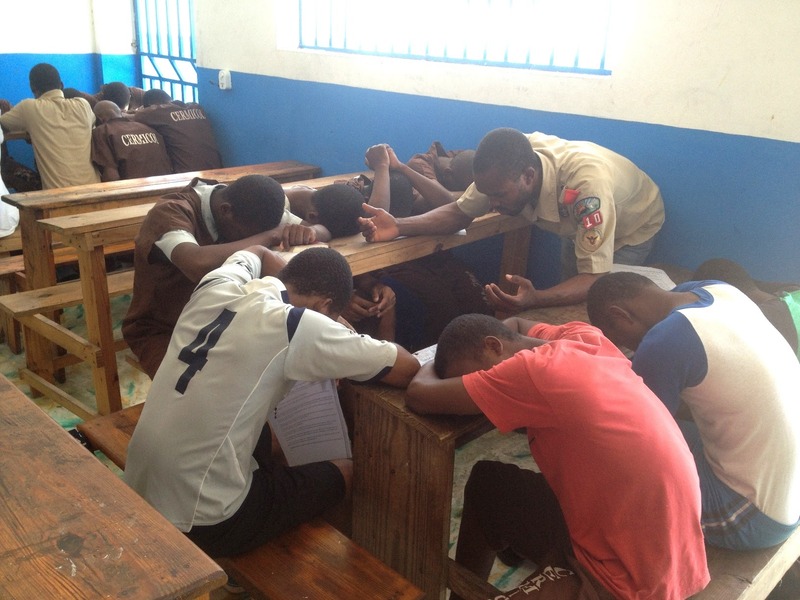 Praise God for open doors to minister in these places where hundreds of Haitians feel forgotten and lonely. Pray for continued access and receptive spirits as the men share physical bread baked at the Beltis Bakery while sharing about the living Bread of Life. Praise God for the hard work of Heartline family members in preparing over 30 gallons of traditional Haitian pumpkin soup called Soup Joumou to feed over 300 prisoners on Haiti’s culturally significant Independence Day. Praise God for two churches partnering with the men’s ministry financially and in prayer, and for how these partnerships are encouraging the men. Pray for more churches to support this ministry. Praise God that the Beltis Bakery is starting to turn a profit! Pray for creativity in identifying new places to sell baked goods. Pray for a bakery to come alongside the Beltis Bakery with practical spiritual and financial support. Pray for one of the men and his wife who have been trying to conceive a child for several years. Pray for a special Valentine’s Day service at the women’s prison, which will include members of Heartline’s outreach team singing with Belo, a popular Haitian singer! 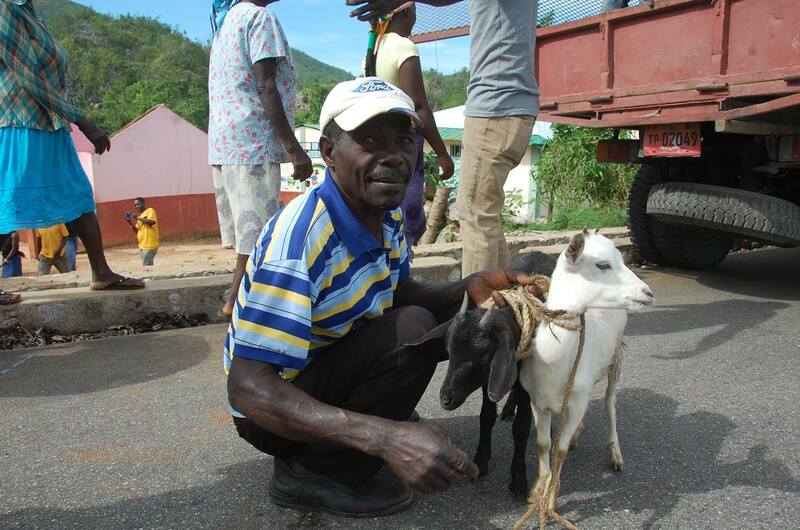 Praise God for the outpouring of support that is enabling Heartline to continue funding livestock repopulation, agricultural recovery, and home rebuilding efforts. Pray for Christian Veterinary Mission and Maxima, Heartline’s partners in ongoing recovery efforts in response to Hurricane Matthew. 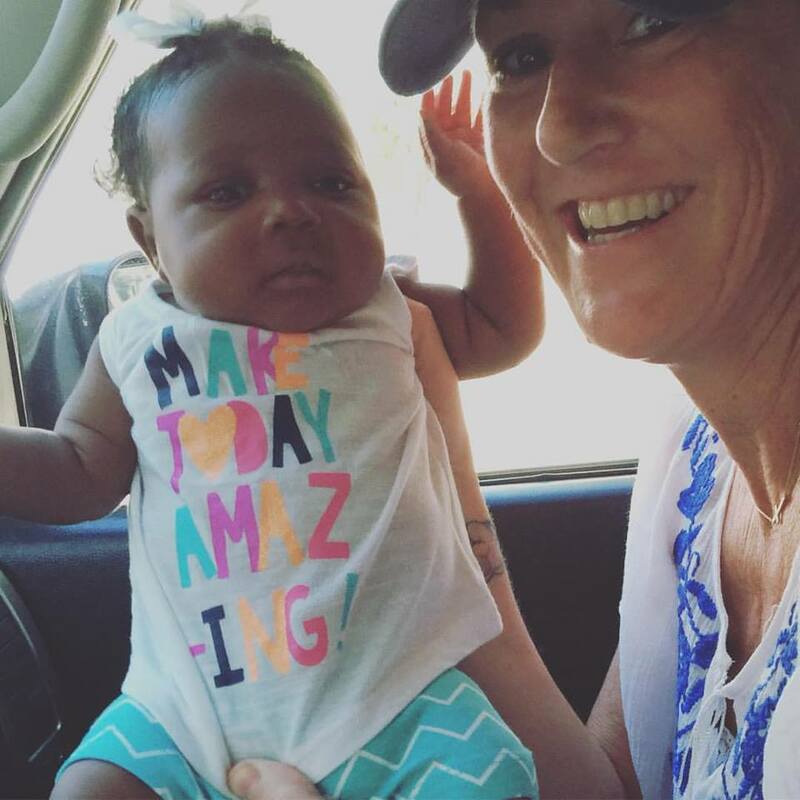 Pray for Beth McHoul, Heartline Co-Founder and midwife as she travels in February to speak at Azusa Pacific University and with several other groups interested in learning more about Heartline’s work. Pray for traveling mercies for Beth and also for deepened relationships and financial partnerships. For a peaceful transition of power with this week’s inauguration of the new President, Jovenel Moise. Thank you for your continued support and prayer!